So Sunday is here again and its time to check out another great cat tree. I was browsing on line and came across this one. It reminded me of a sand castle and looked pretty cool. It seems to combine some of the elements of the more standard trees with some extra touches. All the houses and tunnels sure would keep the cats busy. 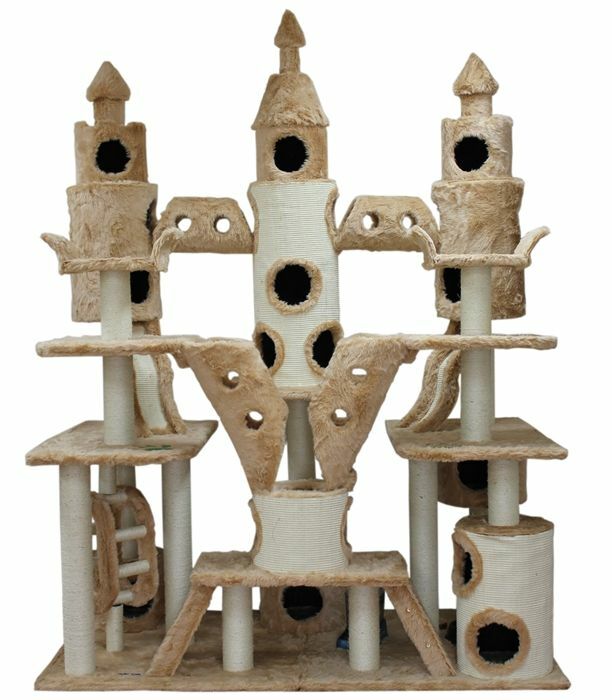 I think most cats would love to have all this room to climb and play. Someones cats are very lucking. It looks rather large so lots of space would be needed to build something of this nature. Also, it has lots of carpeted area, so cleaning would take some time. Let me know what you think about it.